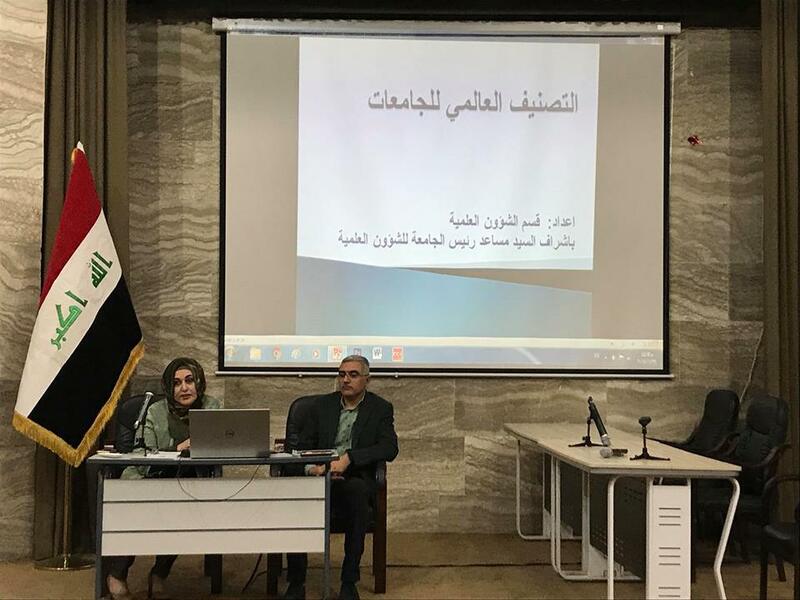 The Scientific Affairs Department at the University of Information Technology and Communications Organizes a Scientific Symposium about the International Ranking of Universities. 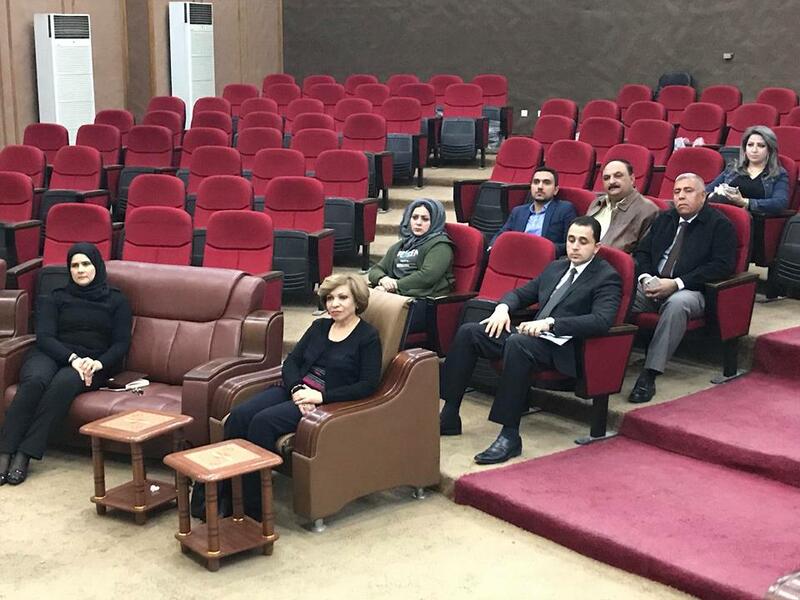 The department of scientific affairs in UOITC organized a scientific symposium after including UOITC in the international ranking of universities with the presence of university president assistant for Scientific Affairs Dr. Jane J. Stephan and a group of university lecturers. The seminar, which was presented by Dr. Inam Rikan, head of the scientific affairs department, and Dr. Abbas Al-Jubouri, head of the smart cities division, gave a presentation on the most famous international rankings of universities, which are based on the quality of education, the academic level and the level of scientific research according to the type of ranking. The importance of identifying these rankings to reach a high level of impact of standards developed specifically to measure the level of international academic institutions and in ranking universities around the world, whereas some of those rankings became dependent by many academic institutions in the world. The ranking of these institutions depends on a number of standards differ from one to another. The most important of these rankings are QS, QS star, British Simmonds, Shanghai Jiao-Jung University, ARWU, and the University of Java-Tung University in Shanghai, China, and the Matrix Web Ranking for Universities and Institutes, which is affiliated with the Ministry of Education in Spain, International ranking of Universities and Colleges Web Sites 4icu on the Internet. 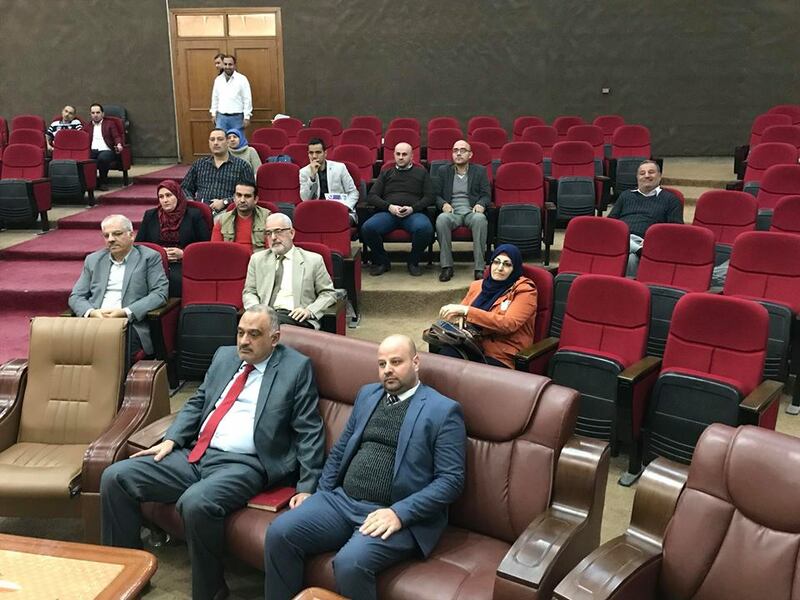 The seminar included a detailed explanation of each of these rankings, as well as the similarities and the differences between them, as well as mentioning the experiences of the participation of the most important Iraqi universities in these rankings. The seminar concluded that the above rankings criteria indicate unequivocally that there is no place for non-research universities in the list of the best five hundred International University. The seminar focused on the interest of all international rankings on the websites of the universities in English language. The website reflects the University's indicators because it is not possible for everyone to visit the university buildings. It is important that the university's website meets the requirements of the international ranking so that the files, data and links are presented in an accessible manner by who will do the evaluation.